Are you under 35 years and tow a trailer? You could be driving unlicensed and uninsured. If you have passed your test since 1997 you will have limited rights to tow trailers. You can pull a 750kg trailer, unbraked. if your trailer has brakes it must weigh less than your vehicle and the combined gross weights for both must be less than 3500kg. Confused? Feel free to give me a ring to discuss your individual situation. Test information: the actual test is based upon the current test for LGV drivers. Location: the test can only be taken at an LGV Test Centre – our nearest is at Lancing or Hastings. The test will last approx. 75 to 90 minutes. Your examiner will check your licence and eyesight. You need to provide your licence, plastic card. On the way to your vehicle the examiner will ask questions about your vehicle and trailer – you will be given training on the answers. The first part of the test is an off road reverse manoeuvre. We will of course practice the reverse ready for this, until you feel comfortable, to make this as easy as possible. Once you have finished the above you will normally go for your road drive, lasting just an hour. The examiner will be looking for excellent vehicle control during this drive, with great consideration for other road users. You will encounter a whole variety of roads on the drive, from Dual carriageways to a variety of roundabouts and pedestrian crossings. Although this is the hardest part of the test, we will practice until you are competent, and you can also do your own practice. Nearly there! – The un-couple and re-couple. When you return to the Test Centre you will need to show the examiner that you can safely couple and uncouple your trailer. There is a set procedure for this and you can pull the trailer onto the vehicle – an easy task with a small trailer. Our pass rate is 90% for car and trailer – the national average pass rate is just above 40%! We understand how stressful tests can be, but even if you don’t make it first time, don’t feel disappointed. We will get you there and hopefully we will have fun on the way. All driving instructors offer a different level of service and pricing is not always a good indication of the quality of training you will receive. 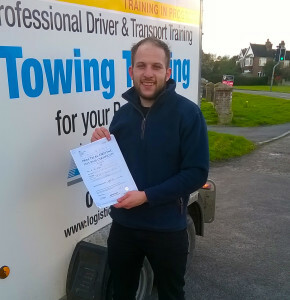 I pride myself in giving friendly and honest tuition, that will not only allow you to pass the test in as few lessons as possible, but also provide you with a good solid grounding for a long and successful driving career. I have over 30 years experience in the road transport industry and now aim to share my knowledge with pupils. I have passed my ADI, advanced car tests, my HGV Class 1 test, and my RTITB LGV Instructor qualification. • We don’t charge VAT, unlike many of our competitors. 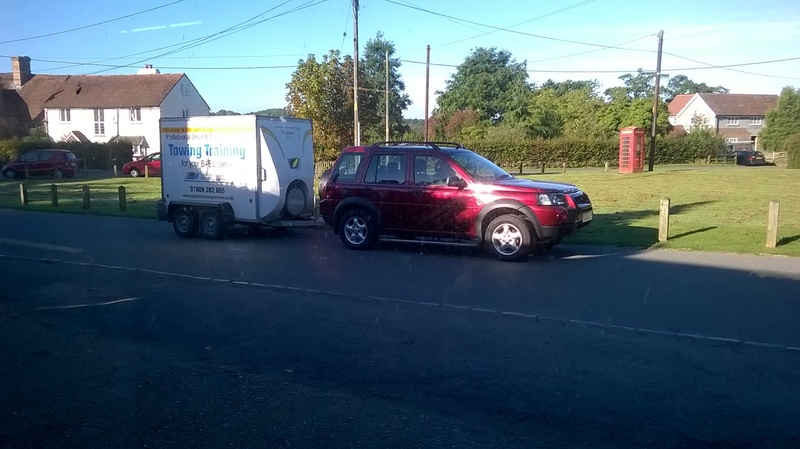 • Our vehicle and trailer training includes the B+E test. • Our packages are all inclusive – we use a Landrover Freelander and a Bateson trailer – all fuel, insurance and everything is included – so you need nothing more – unlike some companies that only provide the trailer and nothing else. • All refreshments supplied – it is a long hard day, but we are prepared! • Option to complete the course in one day if required. Minimises time needed off work and re-organising a busy business or family schedule – other companies only offer 2-4 day versions. • We are happy to give you extra time if required to bring you up to standard before the big day. • We are members of the Driving Instructors Association.